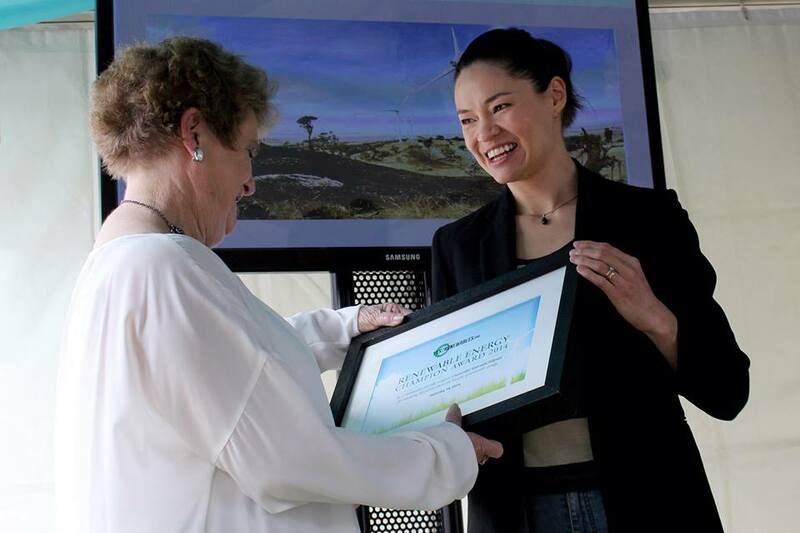 Cr Gwenda Allgood receiving the Renewable Energy Champion award from Tanya Ha at Melbourne Sustainable Living Festival this year. Ararat Councillor Gwenda Allgood received Yes 2 Renewables’ inaugural Renewable Energy Champion award in recognition of her tireless commitment to renewable energy advocacy. Gwenda is known for her championing of the economic and environmental benefits of wind power against the spurious claims of the anti-wind farm lobby. I would like to congratulate Councillor Gwenda Allgood on receiving the inaugural Renewable Energy Champion Award at the 2014 Sustainable Living Festival. 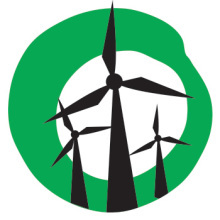 Gwenda has shared the success of Challicum Hills Wind Farm with other communities contemplating hosting a wind farm in their midst and debunking the myths spread by mischievous anti-wind agencies. There is another Ararat champion in Daryl Scherger who is the project manager for a biomass-to-heat system at Beaufort Hospital. This system is great for replacing natural gas or using where it is not available. It has given local tradespeople experience and skill in bioenergy, widely used in Europe as part of the energy mix. The Ararat community as a whole, should also be congratulated for its recognition of the benefits of and its support of Renewable energy such as wind, solar and biomass.